Parking your car at Paphos Airport is a popular choice with many passengers flying from Paphos and is a quick and convenient way to leave your car in a safe and secure environment. Due to the airport being within easy access from all the main roads and motorway links in Paphos, driving to and from the airport has never been easier. Car parking at the airport allows you to drive yourself to and from the airport with minimal hassle, cost or expense and allows you to dictate your own time schedule in leaving for the airport. It also ensures that upon your return back into Paphos Airport, you are straight into your car and heading home without having to wait around for other passengers or public transport. 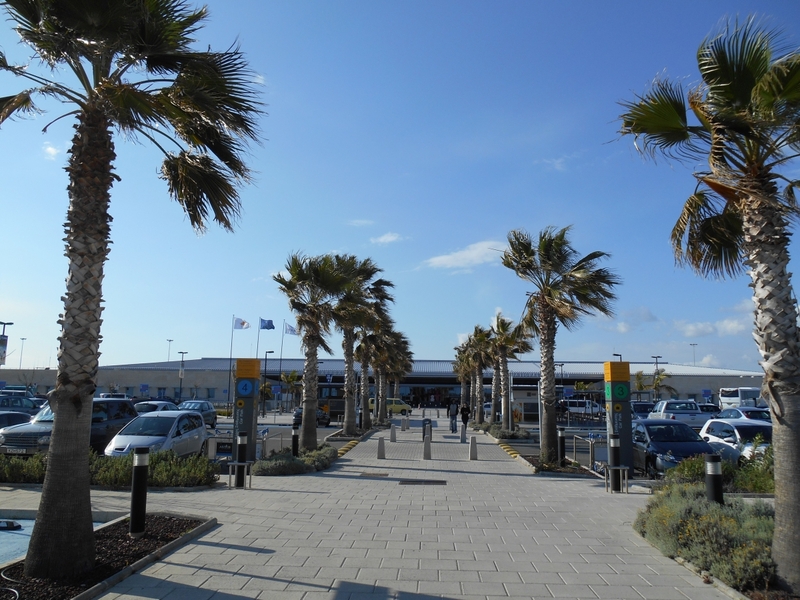 If you are considering taking your own vehicle to the airport and are looking to use the airport car parking facilities, hopefully this short guide and overview will help answer any questions you may have about parking at Paphos Airport. 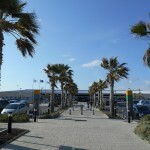 The airport at Paphos offers both short and long stay parking and has approximately 550 car parking spaces available to visitors. The car parking areas are onsite at the airport and are patrolled frequently to offer safe secure parking. This allows you to leave your vehicle with the peace of mind you need during your trip away. Whether you are travelling on business or leisure, the airport offers a number of parking options that will suit your requirements and needs. As you approach the airport, the Car Parking areas are clearly signposted. All you need to do when you arrive at the airport is simply follow the signs for the appropriate parking that you require. Pick Up and Drop Off is FREE of charge but you need to comply with the rules and regulations that are in place regarding ‘Picking Up and Dropping off’ passengers at the airport. There is no charge for ‘Dropping Off and Picking Up’ passengers at the airport. However, there is a designated area for stopping and this is located directly opposite the main terminal building. You are only allowed to stop for a minute in this area whilst dropping off or collecting passengers and you are not allowed to park or stay longer than the allocated time limit. You are not allowed to leave your vehicle unattended in the ‘Drop Off and Pick Up’ area and drivers must remain with their vehicles at all times. There are also designated ‘Drop Off and pick up’ areas for disabled passengers and these are clearly signposted. The airport offers ‘Short Stay’ parking facilities for people who are visiting the airport for short periods of time such as a few hours. This facility is obviously best suited to anyone driving to the airport in Paphos to collect passengers arriving on a flight to the Paphos or anyone dropping off passengers at Paphos and wishing to stay with them until it is time for their departure. The ‘Short Stay’ parking at Paphos airport is an open air car park located in front of the main terminal building and is literally just a few minutes walk to the Arrivals and Departures areas. The Short Stay parking facility works on a ‘Self Park’ basis where you enter the parking zone, take a through a barrier and then park your car and keep the keys. You will be issued with a ticket that you will need to keep in order to pay for your parking on return. On your return to your vehicle, you will need to pay for your parking prior to getting in your vehicle and exiting the parking area. There are pay machines close to the parking area and once you have for your parking, you can exit. The barriers work on Number Plate Recognition and will open automatically once you have paid for your parking and drive up to the barrier. Obviously, the price of short stay parking is determined by the period of time your car is parked. The following list is the current parking fees for Short Stay parking. Please Note: These prices were correct at the time of writing but are subject to change and it is advisable to check the prices before you park. The Long Stay car parking facility at Paphos International Airport is located within the same area as the Short Term parking area and this is located directly in front of the main airport terminal building. The Long Stay car park is within easy access of the airport terminal, providing the perfect pace to park your car whilst you are away. The procedures for the Long Stay parking are the same as those for the Short Stay parking. €10.00 for the first 24 Hours and then an additional charge of €4.00 is charged for each extra day your vehicle is parked in the Long Stay car park. There are several designated spaces for disabled drivers and passengers or people with reduced mobility. These spaces are clearly marked and offer a larger space for parking and wheelchair access. Please Note: These spaces can only be used if you are a holder of the blue parking card permit. If you park in one of the designated spaces, you must ensure that you display your permit in a visible place such as on your dashboard. Parking is free for up to 2 Hours in these designated spaces so long as you display your blue parking card permit. We hope this short guide has provide useful information about Paphos Airport parking.